Flash-Post: Record Sales for American Autos! General Motors just released their sales results for September 2014, what a month! Sales climbed 19 percent year-over-year! Retail deliveries, which are sales to individual consumers, were up 17 percent. No doubt the Premier Automotive Group reaped in their share of sales from their new Chevrolet dealership in Buena Park, CA. 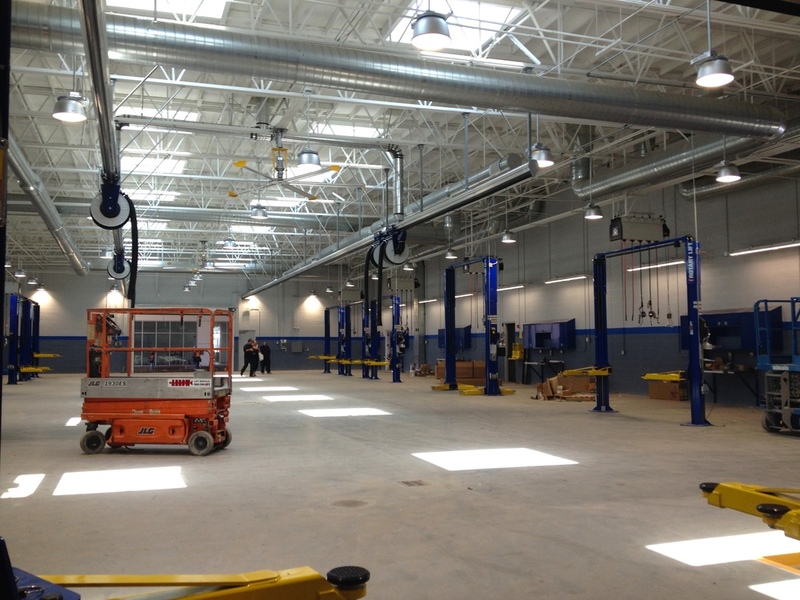 WAI designed the dealership during Summer 2013, and Driver Special Projects Group constructed the project in exactly 1 year. Way to go DriverSPG! Chevrolet deliveries increased 20 percent, with Silverado up 54 percent, Suburban up 50 percent, Traverse up 45 percent, Cruze up 45 percent, Sonic up 14 percent and Equinox up 12 percent. Corvette deliveries nearly tripled. GMC deliveries were up 28 percent, including a 25 percent increase for Sierra and a 16 percent increase for Terrain. Yukon sales nearly doubled and Yukon XL was up 64 percent. Sales of the new Cadillac Escalade more than doubled, helping the brand deliver results equal to a year ago. Buick deliveries increased 12 percent, with Enclave up 36 percent, Encore up 20 percent, Verano up 6 percent and Regal up 5 percent. The Encore has been the industry’s best-selling small SUV for six months in a row. The first deliveries of the 2015 Chevrolet Colorado and GMC Canyon occurred in September and availability will grow throughout the fall. GM has announced plans to add a third shift at its Wentzville, Mo., assembly plant in early 2015 to meet expected demand for both mid-size pickups and full-size vans. Incentive spending as a percentage of ATPs was 11.1 percent, up 0.2 percentage points from August but the lowest of all domestic automakers by a significant margin, according to PIN. GM’s calendar-year-to-date spending as a percentage of ATPs is 10.7 percent, down 0.3 points, while industry spending is 10.0 percent, up 0.4 points.